Original Price: $650 - This sale applies to in-stock items only. Our sales team will contact you to confirm the availability of your order. With a vivid array of options in both transparent and opaque glass colors, the compact yet versatile Helio Series charms and delights. The Helio pendant is sleek enough to stand on its own and simple enough to shine in tightly grouped bouquets from a Niche Pack Canopy. The Helio pendant originates from Niche’s taller and more slender Pharos pendant light and is designed for versatility. It is compatible with both 120v and 240v electrical settings and ready for use with an array of different lamping options, including incandescent, LED and compact fluorescent bulbs. The delightfully compact shape of the Helio works well when grouped together using a Niche Pack Canopy. 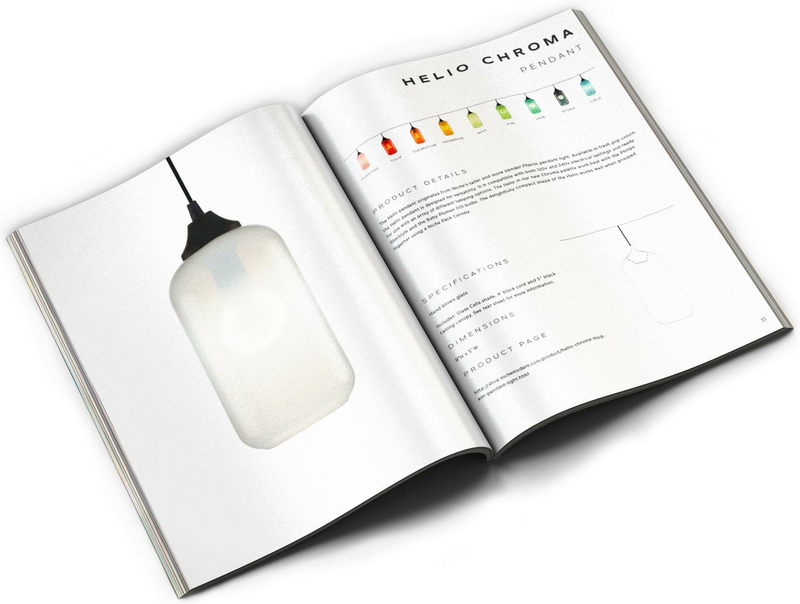 Like all Niche products, the Helio is handmade in New York with love by a team of talented glass artisans. Watch the video to see how it's done and see all that Helio has to offer!